Disclaimer: This place is for you, only if you like to shop for assortment of kitchenware. I am not a spokeman for any of these places, but if you are interested to know where to get cheap, decently good and wide varieties of kitchenware, this is one of the places I will go for. 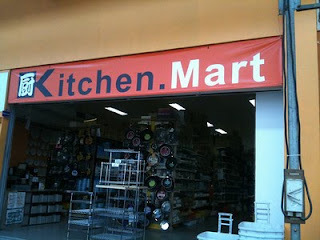 Kitchen.Mart, a big warehouse-like shop for business or wholesalers to buy their kitchenware and utensils in large quantity. However, walk-in customers were welcome. You wouldn’t probably see any crowd here, not even on a weekend. This place is more like a whole-sale distributor which accepts walk-ins, too. I was glad we found this place as things here were so comprehensive, completed with all kinds of kitchenware, with reasonable price! Like I said, this place was meant for wholesalers or business users. If you intend to open your own food business, this should be the place for you! 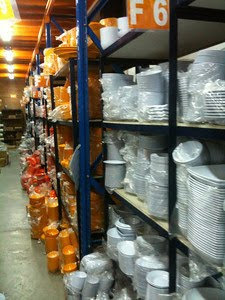 You might be able to find most of the kitchen items here, in different sizes and colours. I bought a large tradition Chinese claypot since my existing one cracked. It was priced at S$7.50 only for a large-sized. Yes, I would use it to cook claypot chicken rice! This is my must-buy. For double boiling my bird nest soup. I got a deep stew pot, too, for double boiling use. I wanted to double boil some birdnest soup and sweet pear soup. 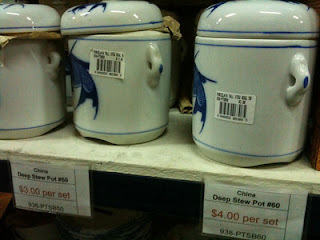 Yes, this large pot was priced only at S$4! 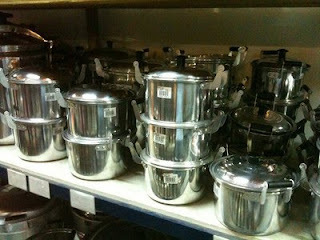 Assorted stainless steel pots. I did not get any of these as I have enough pots, so far. I bought more baking pans, though. 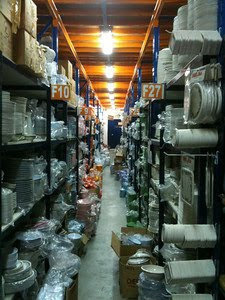 And, most of all, the WOK, all kinds of materials and sizes were available. Beside the tradition Chinese wok, those modern wok/ large pan with single-handle were plenty to choose from, too. I chose a simple non-stick Chinese wok this time. I was satisfied with its non stick feature, so far. Paid only S$28 for a wok (plus a $3 simple-looking metal lid which I matched it on the spot with the options they available there), great? By and large, this place was good to shop for varieties of ‘not-so-branded’ kitchen items with reasonable price. You would gain all your freedom to walk around this huge place and get all you wanted for your kitchen.. You could even find large eletronics, such as, food processor/ oven and fridges, here. Spent almost 2 hours roaming and shopping around the shop, got our arms full in the end, with a total damage of just $130, I really thought we got ourselves a deal here. Well, you must be anxious to know how to get there? 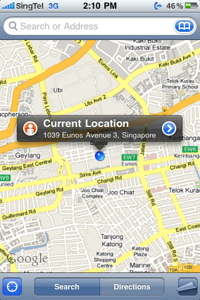 105 Eunos Ave 3, Eunos Industrial Estate, Singapore. This place was more an industrial area where you might find many surrounding buildings. Kitchen.Mart was located at the ground floor in a building, not too far in. To get there by train, the nearest MRT station there should be Paya Lebar station. Take a cab, and it would not be too far from there. Sorry that I could not advise you further as I was sent there on a weekend afternoon. Wow! You really found some bargains! Over here in the USA those pots would’ve been so high! The pot you bought for 4.00 wouldve been at least 24.00 . I can go to an asian market and get it way cheaper than some of the big name brand stores. One day, I’ll get a chance to visit Asia to shop for food and cooking items. I follow your blog everyday. Thks for informing, would love to go down and take a look one day. Just went yesterday but seems like the place had already closed for renovation. Hi! I chanced upon your website thru a friend’s facebook link. Can i know if their pricing is cheaper than Sia Huat’s or Lau Choy Seng at Temple St (Chinatown)? Thanks! I just called them, and they told me that they aren’t closed at all for any kind of renovation work. I am not sure how cheap the goods were from Sia Huat’s or Lau Choy Seng at Temple St (Chinatown). I have not been to that area for kitchen product before. I only compared their prices with those at supermarket and departmental stores. And, I personally find this place at Eunos good mainly because of it peacefulness and spaciousness of their place to shop freely as well as the varieties and convenience to get everything I wanted for my kitchen. thanks for the post, useful info here. first time visitor here but judging by this, i well be visiting more often! Hi, I stumble upon your blog when I was searching for information about Wok… sigh… sorry to ask (as a stranger) your chinese black wok, still good to use? so, is that chinese black wok still good? It’s decent. 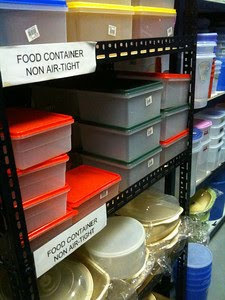 More on general household items. Do you know if this place delivers? Apologies. I am not sure if they do delivery. 3016, Bedok Industrial Estate, #01-94. Got the 14″ wok for $19! Yes! Awesome place! Hi! I am currently looking around for a carbon steel wok and stumbled on this comment. Don’t mind if i ask, is the wok you get good? I looked around and carbon steel is going at 40usd online…. It’s just decent. Like what the old granny used last time. Good or less better is how you personal feel it. Depending on the main purpose you are looking into using a wok. Hey there! 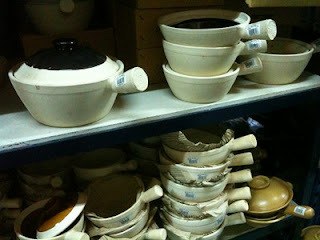 Chanced upon your post while searching for pots and pans in sg. Can you tell me if this place has copper pans? Thanks much. I am not very sure though, but you may try CK Tangs at Orchard. Sorry if I am not helping much. Love your page here. May I know do they sell 3 divider plates. Stuffs for school canteen. Plates and bowls. Thank you. Yes, I remembered they did, but I have not been there for quite awhile. Hope they still do. 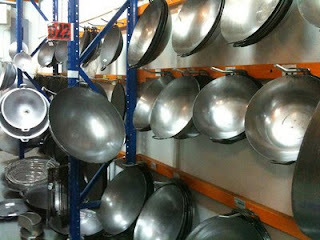 Chanced upon this useful write up when searching for pots and pans at sg. Thank you for all the infm. Thanks. Actually for pot and pans, I would also like to shop at Takashimaya and Tangs whenever they have sales either mid year or year end. Do check out, if wished. Hi Pat, by any chance whilst shopping for your Chinese wok, did you managed to see any of those tall wok lids that’s mainly used for steaming purposes? My apologies as I couldn’t remember any. Would you want to call the shop to ask? I posted their website link. Nice article, I bought some items from Howard’s World at The Star Vista basement. Pretty good have lasted over a year, but their items are bit more pricy. I also buy my cheap kitchen items from this online store http://www.shopinsea.com for the rest of my kitchen stuff. Some items buy from store, some online haha. hello Pat, just stumbled onto ure blog. what a find! especially the kitchenware heads-up. thank you for that! need to re-stock our old, but trusty pots (maybe a few pans) soon. planning to go with the missus soon. cheers! REAL men go kitchenware shopping don’t you know! Hi, No Doubt this is one of the best place in Singapore for kitchenware but for an alternate i prefer Lux Kitchen, they also have high quality products and prices are also good. They also provide installation of kitchen Equipment. I like that there are shops where people can find an assortment of kitchenware all in one place. Like you said, it is always good to find places that have everything in the kitchen department that you would need. I tend to loose cups also so my house currently has a lot of mismatched cups that were originally from different sets. It would be nice to buy some dining sets and a few sets of cups so that everything can be matching again.